The Residence Inn by Marriott Cape Canaveral is your home away from home. 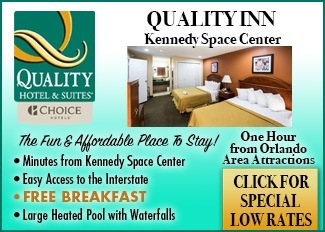 Residence Inn is the closest all suite hotel to Kennedy Space Center and one of the closest hotels to Port Canaveral. Our Key West style hotel offers a wide variety of amenities that cater to the leisure and business guest. Guests can visit our many local attractions, including world famous Cocoa Beach, the Brevard Zoo, KSC Visitors Center & shopping at Cocoa Village. Port Canaveral is less than 1 mile away. NASA, Boeing, and Lockheed Martin are a few of the companies that are located a few miles from our front door. All of our guest can enjoy spacious suites that are 50% larger than traditional hotel rooms. All suites include separate living, eating and sleeping areas. Our daily complimentary hot breakfast buffet is a great way to start your day. Our evening social experience featuring hors d'ouerves, beer and wine, Monday, Tuesday, and Wednesdays with exception of major holidays.This is a great way to unwind after a long day.